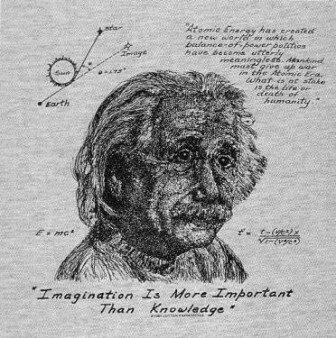 The faculty or activity of imaging things that are, impossible or improbable. The creative imagination; unrestrained fancy. A capricious or fantastic idea. Fiction characterized by highly fanciful or supernatural elements. Each of these definitions gives us the perceived idea of fantasy in a nicely tailored clarification putting it into a neat genre box. However, I have a personal interpretation one that looks deeper than the surface and trite pigeon holed explanations. I believe that fantasy is our alter ego expanding our consciousness. Just think of your dreams – they are fantastical in nature with obscure meanings and imagery. We have tried for decades to interpret them and give them meaning. Every vision has been given a ‘symbolic’ implication or significance in an attempt to harness them into something easier to understand, but what if these visions are something else entirely? What if it is another part of ourselves struggling to be acknowledged, a part of us that uses our subconscious mind to explore beyond the normal daily perceptions? There are numerous theories about spiritual memory, trace elements of ancient wisdom and reincarnation and all of them are fascinating. What links them together though? All of them are the result of a deep seated belief that there is something more within us. There are few of us who can say ‘what you see is what I am through and through’ because we all have an alter ego. As humans we are subjected to pigeon holing ourselves – parent, manual laborer, manager or celebrity – the list is long. But the ‘badge’ does not define the whole person. You will have come across people in your lifetime, who have surprised you with an aspect of their personality, which was totally astonishing. A case in point, a surgeon I knew. He was a huge man with massive hands but his surgical technique was excellent. He came to visit me after my operation and watched in total fascination as I carefully French knitted with an old cotton reel. He asked if he could have a go…yes I was shocked but I let him. As he looped the wool over the pins he told me he would have to get one, it was so much better than his normal knitting or crochet. He explained that the intricate movements helped keep his fingers nimble. To look at this man crochet would have been the furthest image of him you could imagine. All of us are multifaceted not just with the experiences our lives have given us and the roads we have followed but also another part hidden deep within us. The only way I can describe it is, as if we all have an inner twin, one that wants to be heard, and one that can enrich our lives if we let it. There is so much to imagine and experience so let your ‘twin’ loose. Imagination doesn’t have to be only a child’s prerogative. There are depths within us all that truly can expand our consciousness. If such a great man can see the advantages of fantasy shouldn’t we? What are your beliefs or thoughts on how our imagination works?